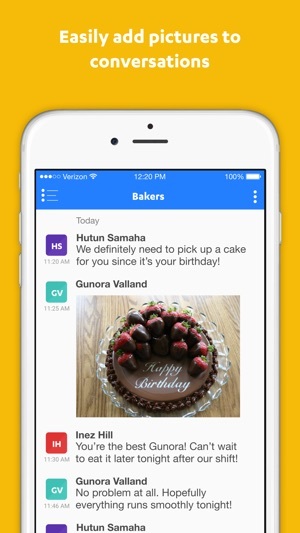 Womply helps you communicate better at work. Stop texting your colleagues, sharing phone numbers, and struggling to get in touch. Use Womply to communicate instantly with your coworkers and managers so you can re-schedule shifts, plan your day, and stay in sync when business is open. * Many more features coming! Psst, don’t have a Magic Code? 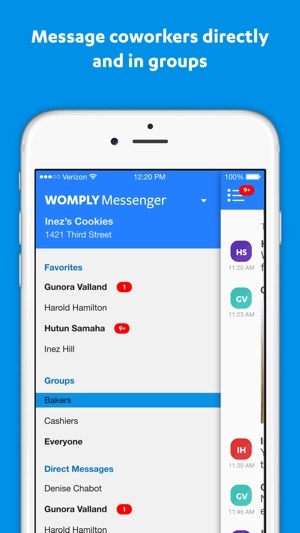 Email us at messenger@womply.com with details on your business and we’ll add you to the wait list. Have questions? Email messenger@womply.com or call 1-(844) 294-7963. *New on-boarding with business search function. *General bug fixes and performance improvements. Great app for communicating with our staff. Everyone has phones and the sign up process is super easy. Better than shouting across the floor. This is exactly what I need. It is fast and reliable. 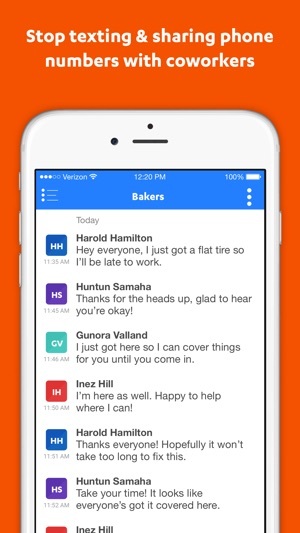 So awesome for easily messaging with all our employees.